Grand Street is a vital transportation corridor connecting diverse and growing neighborhoods. This Concept Development Study is looking at making Grand Street safer and more accessible for pedestrians, cyclists, and all users! Jersey City is undertaking a Concept Development Study that utilizes advanced street redesign techniques to enhance safety conditions along Grand Street and improve the balance between all transportation modes, including vehicles, pedestrians, cyclists, and transit users. 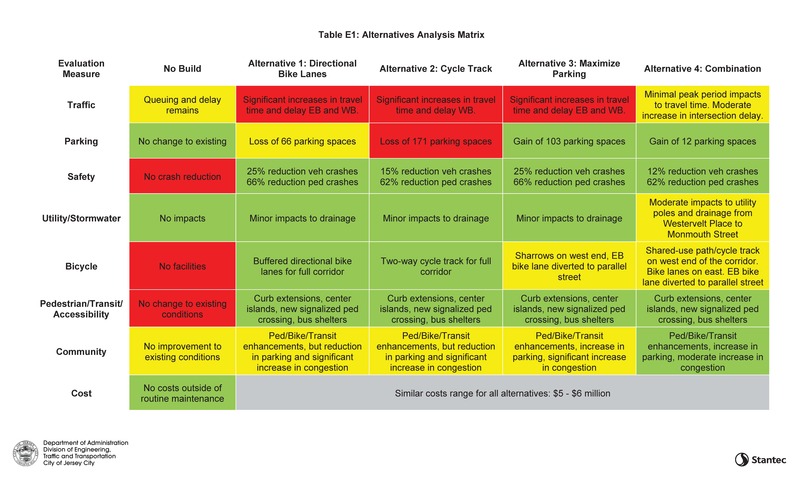 Click here to view Grand Street Alternatives. As a main thoroughfare within Jersey City, Grand Street serves as a vital transportation corridor connecting diverse and growing neighborhoods from Bergen-Lafayette to Exchange Place and providing access to Liberty State Park and the Hudson River Waterfront Walkway bike/walk path. Jersey City is undertaking a Concept Development Study that utilizes advanced street redesign techniques to enhance safety conditions along Grand Street and improve the balance between all transportation modes, including vehicles, pedestrians, cyclists, and transit users. We thank everyone that participated in the Concept Development process. The final report will be published this Summer. 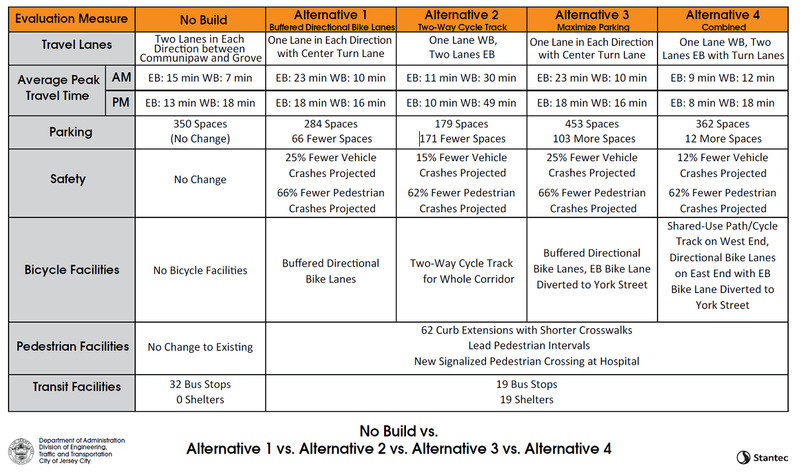 Please send comments on the proposed alternatives to jcgrandstreetstudy@gmail.com. Grand Street is a vehicle-oriented roadway with vehicle speeds regularly exceeding the posted speed limit, and is among the roadways with the highest rates of pedestrian and motor vehicle crashes in the City. 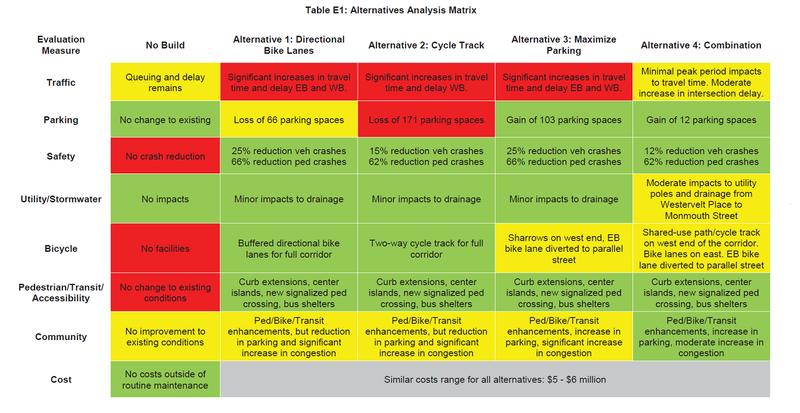 The current roadway design also deprives cyclists of the cross-town connections needed to fully utilize the network of existing bike lanes on smaller streets.